Check out the matching bracelet and earrings. 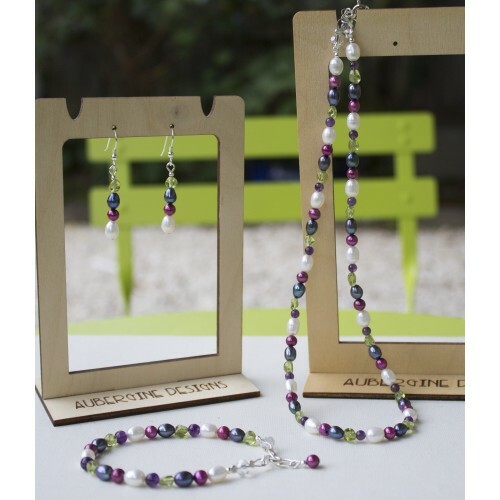 White , dark grey and pinky red pearls are flanked by 6mm amethysts and little peridot nuggets. 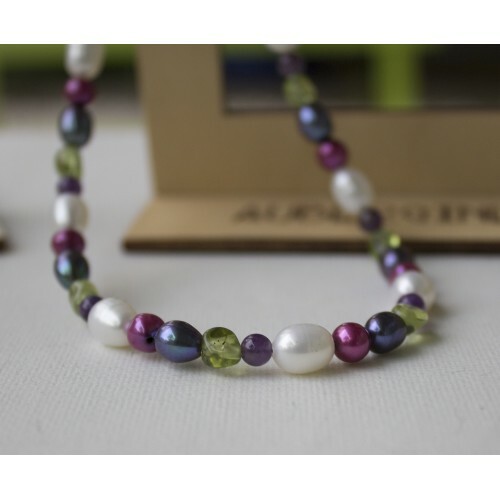 The ..
White, dark grey , pinky red pearls flanked by 6mm amethysts and small rough cut peridot nugge.. 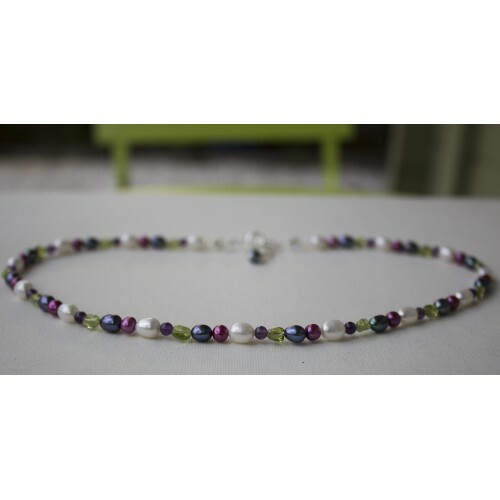 Tags: pearl, amethyst, peridot, necklace, sterling, silver, necklaces sold!